HOT SPRINGS, AR – Hall of Fame trainer D. Wayne Lukas went old school Monday morning at Oaklawn, working Grade 1 winner Sporting Chance a mile in preparation for the Grade 2, $900,000 Rebel Stakes on March 17. Moments after the track opened, Sporting Chance went in 1:41.40 over a muddy track under two-time Oaklawn riding champion Terry Thompson, the colt’s regular workout partner. Sporting Chance’s work started and ended at the regular finish line, with clockers catching his first 1/2-mile in :50.40 and final 1/2-mile in :51. Lukas said he wanted even splits in the stamina-building work moving toward the 1 1/16-mile Rebel, which is the final major local prep for the Grade 1, $1 million Arkansas Derby on April 14. 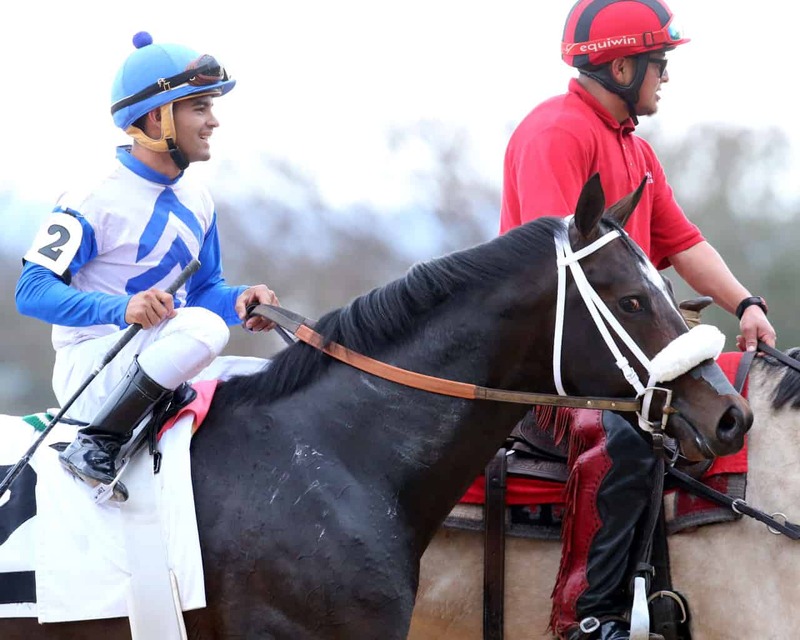 Monday’s work was the second for Sporting Chance since he finished a troubled third in his 3-year-old debut, the Grade 3, $500,000 Southwest Stakes on February 19, Oaklawn’s second of four major preps for the Kentucky Derby. Sporting Chance covered a 1/2-mile in :48.20 on February 27. Lukas said that the son of 2000 Horse of the Year Tiznow wasn’t “breathing heavy” following Monday’s work. Lukas said he will probably breeze Sporting Chance once more before the Rebel, which will offer 85 points to the top four finishers (50-20-10-5) toward starting eligibility for the Kentucky Derby. Nominations to the Rebel close this Friday, March 9. Sporting Chance won 2 of 3 starts last year, including the Grade 1, $350,000 Hopeful Stakes on September 4 at Saratoga. He didn’t run again in 2017 after having a small knee chip removed following the 7-furlong race, Lukas said. Thompson was Oaklawn’s leading rider in 2009 and 2010. In addition, it was reported earlier in the week from DRF’s Jay Privman that John Velazquez will ride Sporting Chance in the Rebel. Sporting Chance was ridden by Luis Saez in the Southwest, but Saez has chosen to ride unbeaten Malibu Moon in the Rebel for trainer Todd Pletcher.